Welcome to the Home for Wayward and Misbegotten Creatures, an institution run by evil Miss Carbunkle, a cunning villainess who believes her terrified young charges exist only to serve and suffer. Part animal and part human, the groundlings toil in classroom and factory, forbidden to enjoy anything regular children have, most particularly singing and music. For the Wonderling, an innocent hearted, one eared, fox like eleven year old with only a number rather than a proper name, a Thirteen etched on a medallion around his neck, it is the only home he has ever known. But unexpected courage leads him to acquire the loyalty of a young bird groundling named Trinket, who gives the Home's loneliest inhabitant two incredible gifts. A real name, Arthur, like the good king in the old stories and a best friend. Using Trinket's ingenious invention, the pair escape over the wall and embark on an adventure that will take them out into the wider world and ultimately down the path of sweet Arthur's true destiny. Miss Carbunkles Home for Wayward and Misbegotten Creatures is an austere orphanage, Groundling children restrained within the oppressive, debilitated compound, labouring for their survival. Number Thirteen is a misbegotten, lonely, one eared Foxling, gallant and courageous as he encounters a small, flightless feathered friend. Trinket is an wondrous inventor, sharing stories of fantastical worlds of knights and kingdoms, declaring Thirteen shall now be known as Arthur for his bravery, the little Foxling destined for valiancy. And in his sleep he began to form a song from their sorrow. But he had far to go before he would sing it. Eleven year old Arthur is a delicate and compassionate young Foxling, a discarded orphan at the Home for Wayward and Misbegotten Creatures. Unbeknownst to Arthur, destiny awaits. Arthur and Trinket are wonderful companions. With a key, an address, a blanket fragment and a bygone lullaby, Arthur and his feathered companion embark on an adventure to fantastical worlds, on a journey of self discovery. Miss Carbunkle is a tyrannical, callous woman, her blundering assistant Mister Sneezeweed, a snivelling, loathsome man. As Arthur discovers a world brimming with vibrancy, the Home for Wayward and Misbegotten Creatures remains silent, melodies as forbidden as imagination is prohibited. Miss Carbunkle has devious intentions. Beyond the orphanage compound is a malevolent world of privilege and poverty, Groundlings are considered insignificant and segregated. Arthur's heart ached. But it wasn't that he was terribly sad. It just simply ached, as if it were too full and the contents had nowhere to go. Along their journey, Arthur and Trinket discover stupendous characters before separating, namely forest dweller Pinecone and his family. As Trinket visits her tinkering Uncle, Arthur traverses the Great White City of Lumentown, a city of contrasts and castes, only to discover Quintus, a pilfering rodent who guides Arthur on his journey. Pevill is magnificent, an astute little mouse, thespian and poet. The essence of The Wonderling is acceptance and belonging, emphasising the need for compassion. A breathtaking and atmospheric middle grade adventure, exquisite and captivating until the final page. I've got this one sitting on my shelf to read. It sounds absolutely delightful, but wow is it a chunky book. 464 Pages! I've haven't heard of many other modern Middle Grade novels so big. Middle grade is normally sweet and snappy, right? I'm interested to see how the story is paced to keep the kids turned in :-) :-). Wonderful review. I look forward to meeting Arthur, Trinket and all the other characters. It was breathtaking Sarah and so incredibly atmospheric. I can't wait to see what you think of it! Awww, this sounds so cute. Haven't read any middle grade fantasy for a while though, so I guess I'll be checking this one out. Awesome review! I'm leaning towards reading more middle grade, it's so wonderfully magical and I've yet to discover a middle grade novel I haven't enjoyed. This is perfect for young adult readers as well, along with The Trials of Morrigan Crow. Equally as fabulous. It does Lily which younger readers will recognise and be able to empathise as well. Middle grade has such a wonderful mortal compass. What a wonderful book. Definitely something that more people of all ages should read. I agree Christy, it's magnificent! I am in love with this cover, and the promise it holds. From your review, I can see why young readers are going to love and learn from it -- especially compassion. It also has lovely little illustrations scattered throughout the pages too Verushka. It was beautiful and thrilled that it's part of a series as well. The cover and summary alone make me want to read. I see MG books like this and I always question why I don't read more books for young readers. I think it's mostly because I'd want a young reader to be able to share it with, it's not quite as fun reading a book with adult eyes, having a child's perspective and enthusiasm for a story is always awesome. Also, don't you love the names for characters in children's books? You just know which characters you're meant to hate by the names alone. It's not a far stretch from young adult really, except the characters are slightly younger and you don't find those tired themes and tropes. Middle grade has been phenomenal this year. This sounds cute, and I LOVE the character names! :) I must admit, I do enjoy some middle grade from time to time (usually the ones that border on YA). They're just so fun and usually have a good message to them. 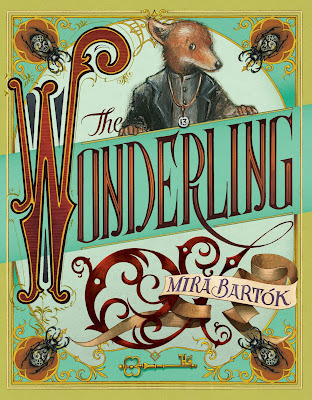 I think you'll absolutely adore The Wonderling, I'd love to see what you think of it. It's beautiful. 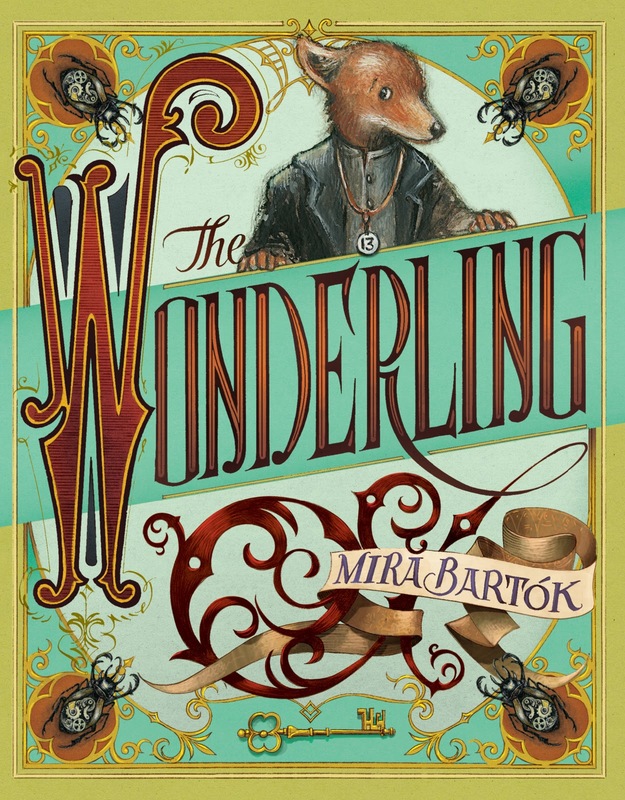 The Wonderling sounds like a wonderful MG adventure full of unique supernatural creatures :) Adding to the TBR! It's magnificent Sarah. Along with Nevermoor, it's my favourite middle grade of the year! Oh I want this one! It sounds beautiful and that cover is just so huggable. It's an amazing read Karen, I'd love to see what you think of it. This sounds like such a beautiful, whimsical read (with a cover to match)! Great review Kelly. Thanks Jeann, it's magnificent. Truly magical.